"Rental rates continued to grow at a slower pace than dwelling values and further eroded rental yields across the capital cities. 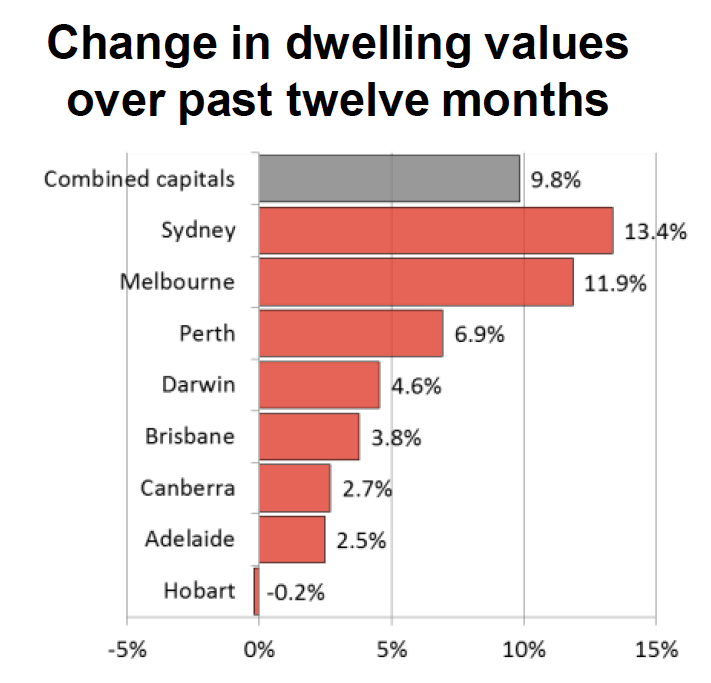 The markets where dwelling values have shown the most appreciation, Melbourne and Sydney, are now showing gross yields for houses below 4 per cent while the typical gross yield on a Melbourne and Sydney unit are higher at 4.2 per cent and 4.7 per cent gross respectively, however, they are lower than in all other capital cities. According to Mr Lawless, such a yield environment may potentially start acting as a disincentive to investors. “With gross yields low in Melbourne, and not a lot better in Sydney, together with the fact that both these markets are well advanced in their growth cycle, it would suggest that investment fundamentals in these markets are waning. It is my view that investors will start seeking out the higher yields of Brisbane where the market is also far earlier in the growth cycle,” he said. The Brisbane apartment median price is up 2.6% for the quarter and 0.8% for the month, according to RP Data. Executive Rentals Drying Up in Brisbane? Low Growth Conditions for Property?